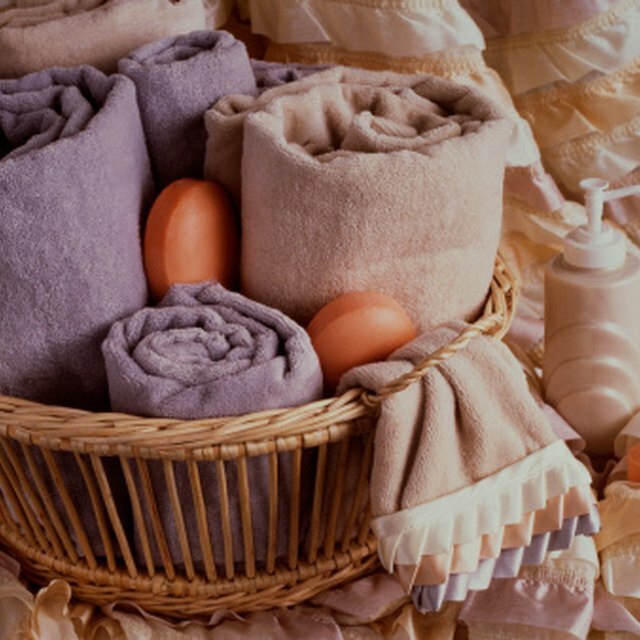 Baskets with items for the home are practical and appeal to a wide audience. 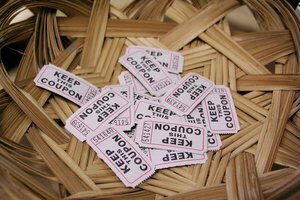 Tricky tray events, also known as raffles, or gift or basket auctions, have become popular ways for groups and organizations to fund-raise. Guests purchase tickets that can be traded in for a chance to win prizes or gift baskets. To maximize fund-raising potential, it is important to showcase desirable gifts that will appeal to all types of people. Creating theme baskets for niche audiences is a way to appeal to all tricky tray attendees. Gift baskets can include tickets and gift certificates as well as specific items relating to the theme. One popular theme is a date night basket, such as "Movie Night" featuring theater tickets or DVDs, popcorn and snacks. Another option is to center a basket around a hobby, such as golf, knitting or camping. Another theme that would appeal to a wider audience would be an "Out on the Town" package featuring a specific local town or city. A tricky tray in New York City might feature an "Out on the Town in Brooklyn" package, including gift certificates and items from restaurants and shops in Brooklyn. This is also a way to create an impressive basket by combining small gifts that may not fit a specific theme. Creating a section of gifts specific to men is a way to attract a wider audience. Sports-related packages are a great option. There are three types of sports themes – for the sports fan, featuring things like tickets to sporting events and sports apparel; for the athlete, focusing on sporting equipment and items like tickets to the batting cages; and sports memorabilia, including such one-of-a-kind items as autographed balls or helmets. Other ideas for gift baskets for men include barbecue and grilling items, specialty beer or bar-related goodies, or poker night paraphernalia. Women traditionally make up the bulk of tricky tray attendees. Creating gift baskets focused on a large array of interests will maximize fund-raising potential and ensure that your guests will enjoy themselves. Cooking- and baking-themed baskets are a big hit. Create multiple baskets focused on different types of cuisine, such as an Italian gift basket with dried meats and flavored olive oils. 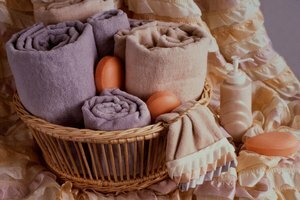 Another basket theme is "Around the House": Create a different basket focused on each room or area of the house, such as a bathroom basket with plush towels and specialty soaps. Addressing a variety of hobbies and interests is another way to develop basket themes. One idea is a "Book Club"-theme basket, with books or a bookstore gift certificate, reading accessories like bookmarks or reading lights. A more trendy option would be to include an e-reader. Including gift baskets for kids will not only draw the attention of the younger guests, but also will appeal to mothers, fathers, aunts, uncles and grandparents. Creating a basket full of popular board and card games for kids is one idea. 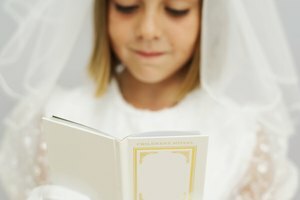 Children's birthday packages are also sure to draw attention – include decorations, favors and tickets for a group to attend the zoo or children's museum. Other basket ideas for kids include video games or tickets to local tourist attractions. Be sure to create baskets that appeal to both genders and various age groups. Rebecca Mooney began writing professionally in 2002. Her work has appeared in newsletters, fundraising appeals and print materials for various nonprofit organizations, including the Muscular Dystrophy Association and the Lymphoma Research Foundation. Her areas of expertise include event planning, fundraising, health education, public relations and nonprofit management. Mooney graduated from Rowan University with a Bachelor of Arts in communications. Mooney, Rebecca. "Basket Ideas for a Tricky Tray." 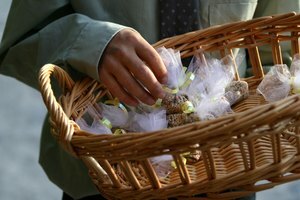 Synonym, https://classroom.synonym.com/basket-ideas-for-a-tricky-tray-12082585.html. 04 October 2017.